Don't have time for messing with used kegs? 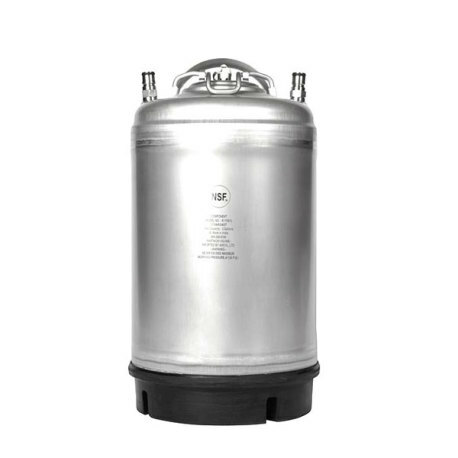 Then this AMCYL 3 gallon new ball lock cornelius (corny) keg is perfect for you! This corny keg is ideal for dispensing smaller batches of homemade beer, wine, coffee, soda, kombucha, or anything else you can think of! Features standard ball lock gas/liquid connections, a single stainless steel strap/handle, and is made from high grade 304 Stainless Steel so it's built to last. This keg is fully NSF (National Sanitation Foundation) certified, ensuring that it is up to strict sanitation standards and is approved beverage safe!